Fig. 2. 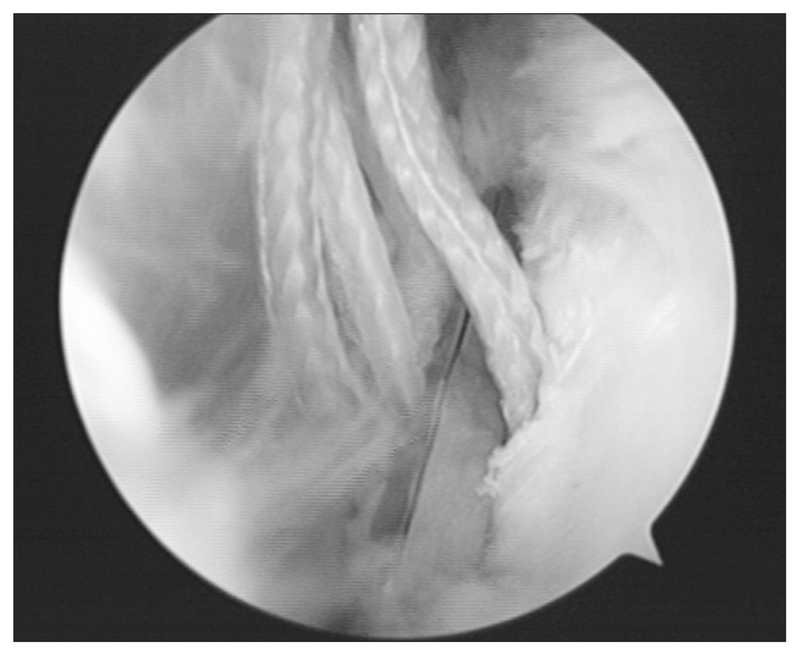 Flipping of a button was performed under direct arthroscopic visualization.